Fifty years ago, June 1967 ushered in the ‘Summer of Love’ to the accompaniment of the Beatles’ masterwork ‘Sgt. Pepper’s Lonely Hearts Club Band’. The album cover featured groundbreaking artwork and has since become an icon in its own right. Clifton Nurseries in Maida Vale, London (now owned by Gavin Jones Ltd) supplied the plants featured on the original album cover. 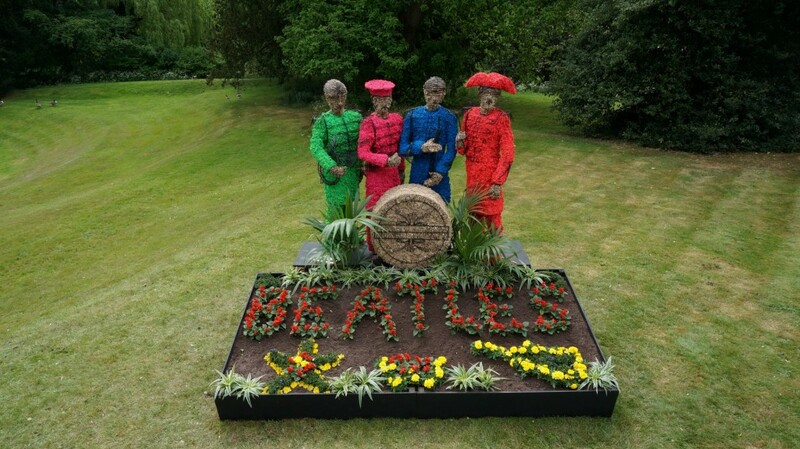 To mark this important point in UK social and music history and Clifton’s part in it, Gavin Jones Ltd decided to create a plant installation loosely based on the album cover. 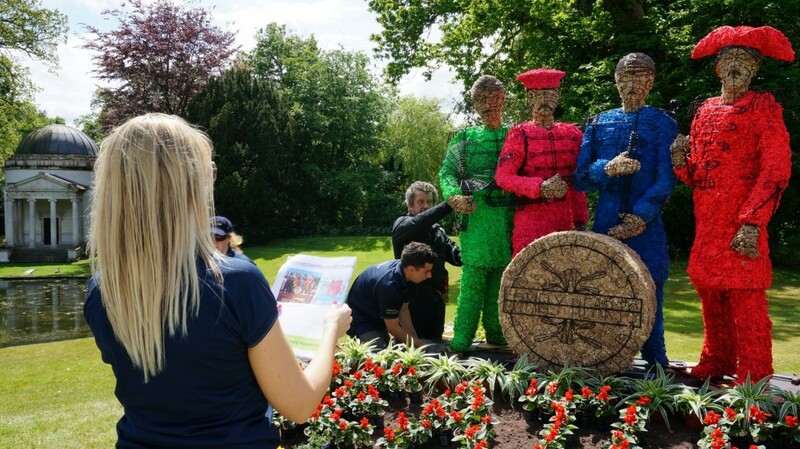 The installation was destined for display at Chiswick House Gardens (where Gavin Jones Ltd maintain the grounds) and where also the videos for some of the Sgt Pepper’s tracks were filmed. Looking for an unusual approach towards the display, Gavin Jones Ltd decided to focus on the flowerbed at the bottom of the album cover. 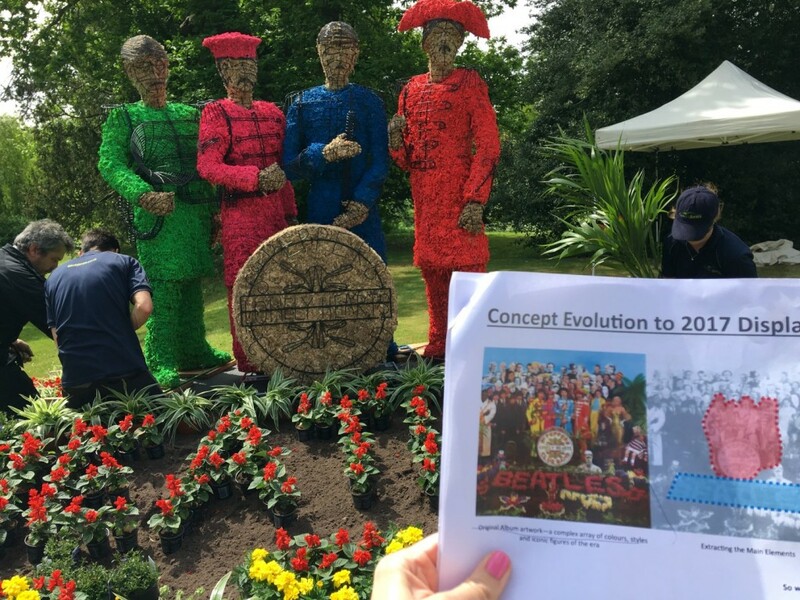 Obviously no display of this sort would be complete without the figures of the Beatles themselves and, seeking the best in the business to supply topiary models of John, Paul, George and Ringo based on their images on the album cover, Gavin Jones Ltd came to Agrumi. No further discussion was needed. We grasped the creative intention immediately and were delighted to accept the challenge of literally bringing the 2D album cover to 3D life. Agrumi’s brief was to incorporate colour in the replication of the Fab Four’s famous military costumes. 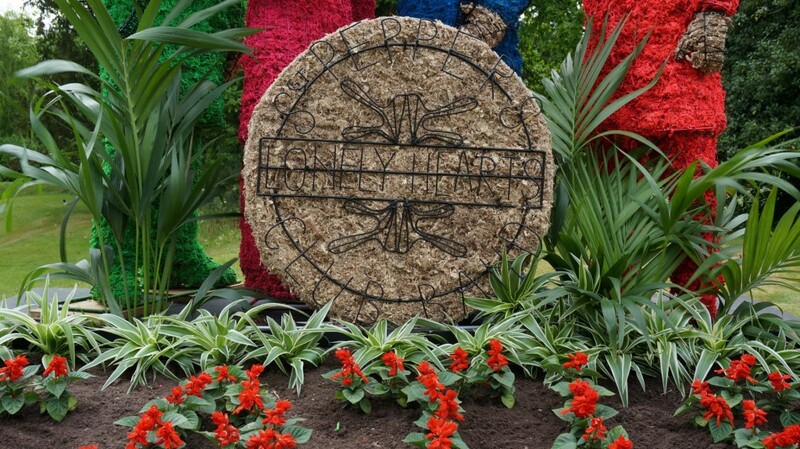 But, because the installation was to feature at the RHS Chelsea Fringe and Hampton Court after Chiswick House Gardens, it was decided that living flowers would be less robust and long-lived that dyed moss. The final design was made with robust, long-stranded, texturally attractive New Zealand sphagnum moss. 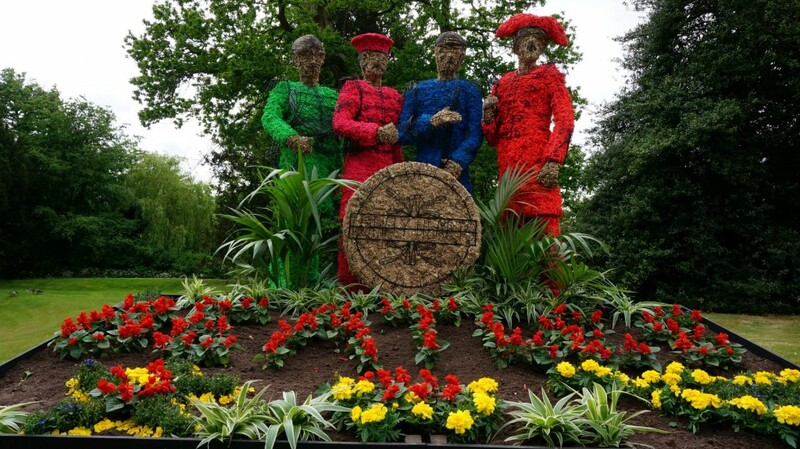 Agrumi’s topiarist excelled himself with the fabrication of these figures and we were proud to play a pivotal role in celebrating the birth of this national and international totem of musical progress.